Thank you so much for your interest in Stagedhomes.com and The Accredited Staging Professional Master Course. The ASP Masters Course will take your business to new heights of success and profitability. ASP Master Stagers around the world have some of the most successful businesses based on implementing the refined techniques and skills they learn in the ASPM Course. 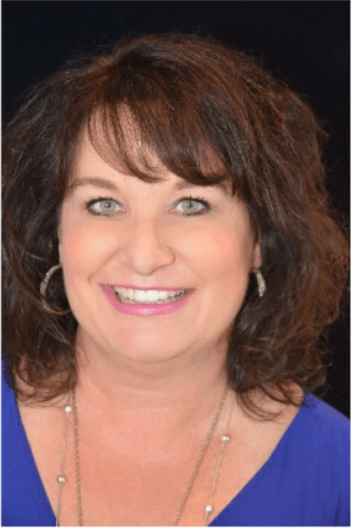 The ASPM Course is taught by Jennie Norris, President & CEO of Stagedhomes.com and her ASPM Training Team, Bette Vos and Sandra Holmes. Each day we will delve into in depth review and discussion of topics and you will have homework that will build on what we discussed during the classroom time. The goal of the homework is to provide you with framework for pricing your services, consultation and proposals so that you obtain projects and learn how to price larger projects that bring more profitability. We will discuss pricing services for other market niches as well as other resources for adding income to your business and bottom line. One of the key parts of the ASPM Course is refining and building on your presentation skills so that you gain more confidence with how you present and can take away positive critiques that you can work on after you graduate. This is a wonderful evening of celebration of the days you have shared together with Jennie and the other ASPM’s® . It is a time to celebrate you and your accomplishments of the Masters Course. This special evening features a gourmet dinner and graduation ceremonies with Jennie. It is a grand way to end this fabulous Course and truly the star of the night is you. Meals for each day include lunch and dinner as part of the investment of your ASPM Course. Most days are 12 hour days so come prepared to work hard and learn from the true Master Home Staging Instructor, Jennie Norris. 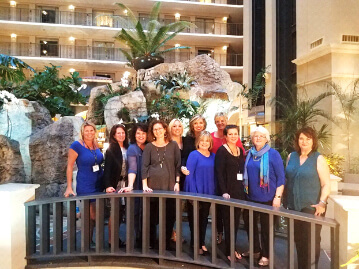 My expectation in taking the Masters course for the second time was to learn about current industry trends, hear how other stagers deal with the day-to-day processes and challenges they may face, and, of course, have a fabulous time socializing with good friends, old and new! The decision to make the re-investment in training was confirmed as soon as class started. Jennie Norris is a wealth of knowledge and experience and her passion for the industry is very apparent during her class time. Her instruction is fast-paced and engaging with plenty of time given for questions and for the students to share personal experiences. The location, location, location 😊 Boston is a wonderful tourist attraction, but the real treat was having the class at Setting the Space in Plymouth, MA. Blair Hamaty and Will Hayward are the ultimate hosts. Making sure we were well-fed, they provided a chef-on-site experience in their personal home that left us all amazed! I left the class with a boost of confidence that I am doing a lot right, possess new tools for marketing my business and gained a bunch of new friends in the field that I can call on for anything! For the past eight years, my daughter Kimberly and I have been Oklahoma’s only Lifetime Premier ASP® Stagers. Thanks to you, that status changed when we spent a week in beautiful Plymouth, MA. This spa-like setting created the venue for our ASP® Masters training. Realizing this is an intense, power-packed week, I was somewhat apprehensive if I could keep up with the rest of the class. Was I ever wrong! You are an exceptional instructor who made the process fun, challenging and inspirational! You truly made this a team effort by pulling the “creative genius” from each of us. I loved having our classes in the renown Setting the Space design studio in the heart of historic Plymouth. Being surrounded by incredible design materials was an inspiration in itself. 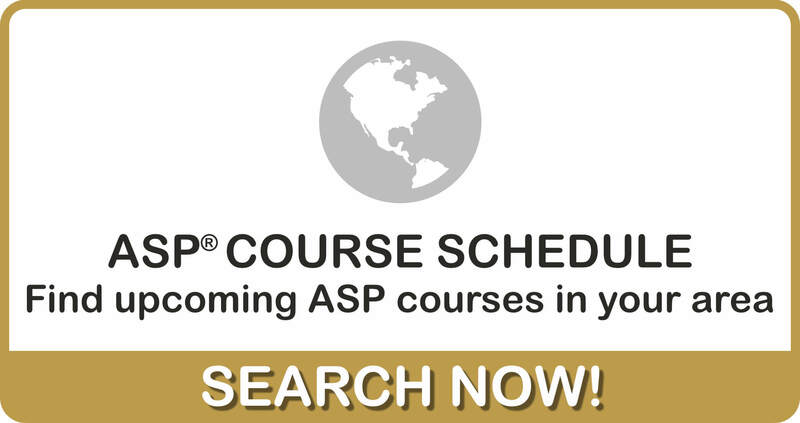 I highly encourage anyone who wants to take his or her business to the next level (with increased business profits) to invest in the ASP® Masters course. Kimberly and I now have the tools to take Oklahoma by storm and truly educate Agents, Investors and Home Owners of the benefits of utilizing our industry. Wahoo! Thank you dear Jennie for this life-changing opportunity! I will never be able to thank you enough, Jennie Norris and Bette Vos for an amazing week of learning, overcoming challenges, fears, improving communication skills, pricing our services, value our services and so much more.... What they taught us in one week has given me the “Quantum leap” in my career. This is one time life experience that I never thought would change my life and business forever. Your guidance and support has given me the confidence I needed to move forward. We got to spend a lot of time together, shared our experiences as Stagers and were very supportive of each other. What touch me the most was the level of “acceptance,“ no competition. Our experiences in the different markets help me expand my knowledge and again gave me the spark to understand how big our market can be. What a privilege to have met this group of ladies. Congratulations to all of you. All the best and continued success in this ASPM course. After completing my ASP® accreditation in Weston, FL, I began my career in the staging industry. I did my homework prior to signing up with a staging school and I chose Staged® Homes.com because their status and history as the pioneers of this industry separates them from the rest! 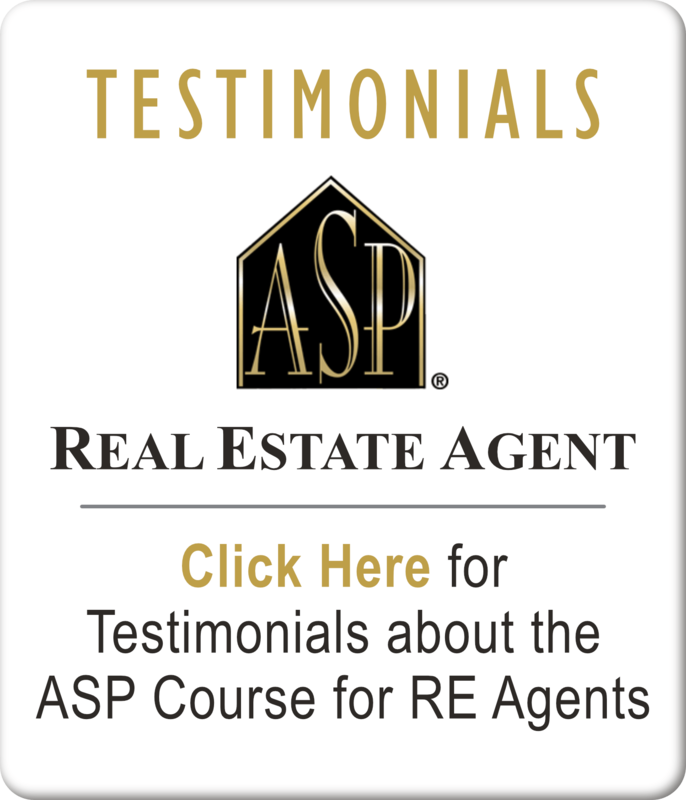 I was just a “newbie” in the Real Estate industry when I became an accredited ASP®. Learning the skills of staging gave me an extra advantage as a Realtor® and launched my real estate career at the level I wanted to achieve. The proof: 1 year later, I listed, sold and Staged® 4 million dollars of real estate of which EVERY PROPERTY SOLD at the highest price point in record time! 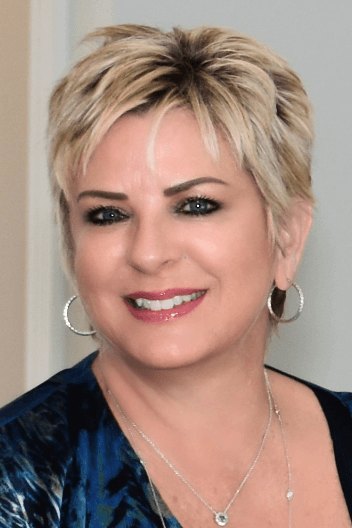 With so much success, I knew receiving my ASPM®, Accredited Staging Professional Master Accreditation® was imperative in bringing my staging career and status to the highest level! In Denver, CO on October 13th , 2017, I competed the course and received my ASPM® designation! The training I received by Jennie Norris and Bette Vos inspired and prepared me to bring my business to the next level! The immediate outcome, after completing the ASPM® course, I staged 2 homes in 2 weeks! The first home was a spec home for a developer that sold in 5 days! I respectfully thank our industry leaders: Sandra Holmes my first Stagedhomes.com instructor that trained me to earn my ASP® designation. 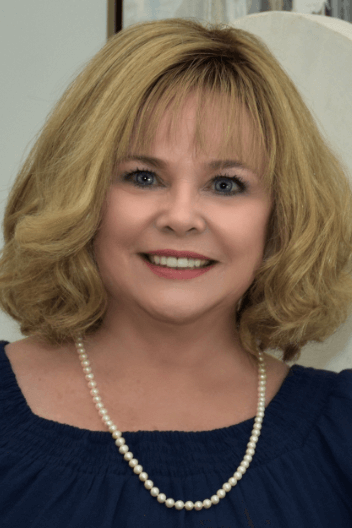 Sandra Holmes paved the path for me to set-out and earn my ASPM® designation. I thank Jennie Norris and Bette Vos. for training me in Denver to achieve my ASPM® designation! I also thank the wonderful ladies in class because collectively we all learned from one another! The experience, training, and engagement made an impact and “set the stage” for my success! 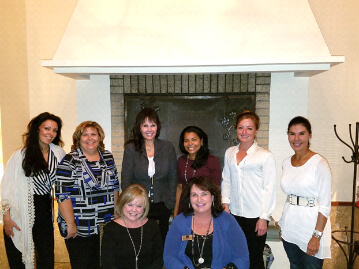 New Direction Home Staging & Consultants, Inc.
Wow... where do I start? As an active ASP member for almost 8 years it has been just the last 3 years that I have been able to launch my own staging business outside of corporate America tandem to getting back in real estate. I was honored to have trained for my ASP with Barb Schwarz in Dallas back then and always dreamed of being able to train for my ASPM. Well dreams do come true and the Universe provided a means. I wasn't sure what to expect but received so much more than I every imagined during the five intense days of ASPM training. Jennie and Bette put together a rich full curriculum that covers in depth training with a broad range from emotional aspects to success to the fundamental and high tech marketing strategies it takes to propel your business to the next level .No matter what level you are currently at in your business I assure you – you will wonder why you waited so long. Ooodles of great info, meeting fellow like-minded talented staging professionals from around the country, an action plan to go home and "take action" on are just a few of the golden nuggets you will walk away with. Sign up now! You won't regret it! You will have a "Stagetacular" experience! "I really have a lot to share with the ASP's/ASPM's® about what has happened in the past year ever since I took the ASPM Course. It has been life changing for the positive... it has been so incredibly awesome- I have seen a lot of growth in my business, in both its structures and financially. I have personally grown so much in the past year... it was like taking the Master's course was this diamond encrusted gold key that really helped provide me the focus I needed. I can share about how at year 6 I felt "stagnant" and seemed to get caught up in distraction. Since our Master's course and refocusing, I have restructured my entire business and have seen the beginning of growth and stability. 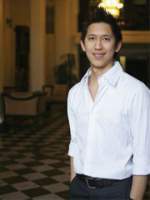 I am delivering solid Staging's with very good results." I'm writing to you to give you an overall opinion of my ASPM®'s staging experience this past week! Every aspect of this staging training was very useful and valuable for me to use in my staging business. The area that I needed help the most was putting the staging proposal/bid together for clients/realtors. This was where I needed help the most, to become more familiar and to be sure as to how to put the bid together. So thank you for clarifying this area for me. I felt that it was very helpful to be placed in a group and go to the vacant and lived in house, to walk through all the rooms, step by step listing all the rooms with the furniture/accessories that was needed. The five minute presentation for me was really helpful because I listened to the other ladies and learned so much from their presentation. I liked a little bit from each one of their presentations. I feel that I have become more confident in what I want to do in my staging business and to keep on going taking it step by step. I have to develop and stick to my professional policies too. Again, thanks for a wonderful week of the most valuable and important information that I've been lucky to have to jump start my business. I felt a shot of confidence and loved all the sayings that you kept coming our way the entire week. Above all keep up the good work. You will love becoming an important part of the ASPM® family. ASPM®s are held in the highest regard by all ASPs®. Your investment in earning your ASPM® designation will return to you over and over again in the years ahead. 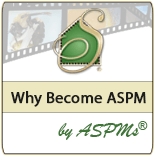 As an ASPM® you will become and be surrounded by the "Best of the Best!"